TMI?? You know that’s how I roll! Every Thursday, on this blog, I’m throwing out the most writable thoughts that come to mind between 5:00 and oh, maybe 8:00. Lately I’ve enjoyed posting real-life silliness and seriousness that is fun to write and therapeutic for me to share. After posting, especially a personal topic, I just love to watch the Stats page climb through the next few days. It shows me the results of how many visits have piled up. I am amazed and blessed, flattered and honored to have a regular following of readers of these words. Thank You, Thank You, THANK YOU! You may wonder about the “Ready for Better” topics and their origin? As I’ve stated, my thoughts are a scrambled high-voltage buzz of white noise that goes with me everywhere I do, maybe yours are the same?? You see, I LOVE the fact that you are reading this right now. I want to engage, inspire and share with you. I can see, that from my previous-self’s point of view, it could come across just as uncomfortably crazy as Alice’s trip down the Rabbit Hole. However, I have been irreversibly changed in the last year. 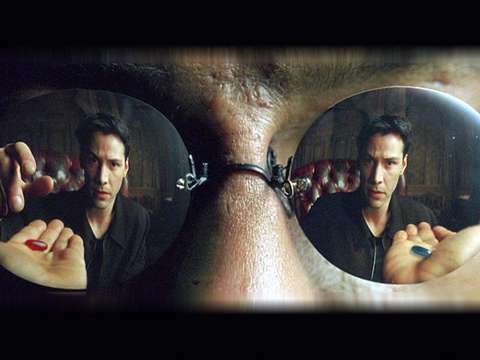 Just like Neo in the movie the Matrix… I have taken the Red Pill. New Truths have been shown to me. They have opened my eyes. I now live with a New Perspective. So, as I struggle with finding ways to share these new perspectives. Please, please know that from the beginning, every step of my journey, was meant to help someone else find hope and answers in their own situations. Whether it be purely financial peace that someone is reaching for; or just to raise their own awareness that they deserve Better! So far, I am failing at directly helping the people in my community through personal coaching. This was one of my goals that I’ve yet to fulfill. Here lies the root thoughts that are growing into something bigger than a blog post. I wonder how far you’ll go with me on this journey?? The time is not now to decide Red or Blue, but I hope for all of us that when it is time, You and I will have the Courage to Try. Thank You again for being here with me on this blogging adventure. It really is much more than that. Ready for Better is my personal journal, told through show-and-tell. I hope we are all appreciative of each blessed day that we have been given on this Earth. I truly do Love You. Thank You. I am literally thrilled with You being here with me! Stay tuned, who knows what fun could come from all of this!! I have to be the most insecure Guy in the known universe. I’ll prove it right here. This picture (from my backyard) has four main elements. Can you guess what the fourth is? The symbolic Wire Cage around them all? Yup, Dang; You Smart! The wire fencing represents the barrier in my mind that has kept me from Trying new things throughout my life. All 3 of the hobbies in the picture are things I have recently decided to give my very first ever effort into trying. All 3 are things I used to be too scared, too embarassed, too nervous or too chicken to even attempt. That little wire cage really doesn’t do justice to the enormous mental Wall that I used to have built around attempting anything that might involve Failing. has probably been the most costly emotion that has ever entered my heart. Somehow, my entire life, up until recently, I have carried around a humongous weight. If you make a mistake, you’re a screw up. If you fail at trying something, you’re a failure as a person. I fear looking stupid in front of others. I was completely wrong about that! So, maybe some of these ideas resonate with you? Okay, maybe there’s a little exaggeration in there… but you get my point? Somewhere in the last year, when I decided to jump out of the mainstream world and try my own thing, I figured out that even when all kinds of things don’t go like you planned, and goal after goal has gone unreached… You Still LIVE to see another day! I decided to TRY the challenges that came along my path and presented themselves to me. Guess what: It’s been a BLAST!! Learning that I can grow and expand my “normal” self in ways that I didn’t know was possible has been nothing short of amazing, in my own mind. The most insecure Guy in the known universe!! So: When new ideas, or challenges come along your way, do you jump at them with vigor? Or do you pass on them with Fear being the main reason? 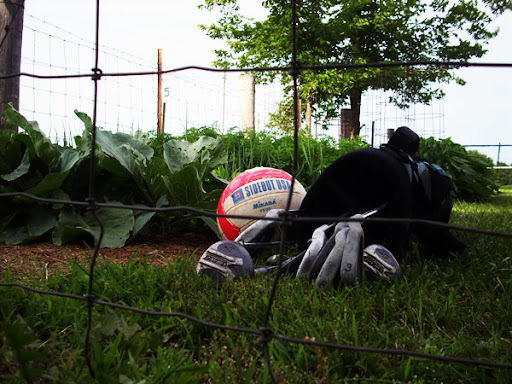 If talking about improving your financial situation, so that you end up with More Money and Less Stress sounds like your version of Gardening, Volleyball & Golf… well, I know just how ya feel! I know that taking that first step, and telling yourself that you are worth it; is key. Guess what, if it doesn’t work out, you will go on living to see another day. And that my friends, is the new beginning of your fantastic fresh world of possiblities! So! Enough rambling for tonight. ‘Cause truthfully, I need lots of practice at all this stuff; heck, I’m just a beginner!! 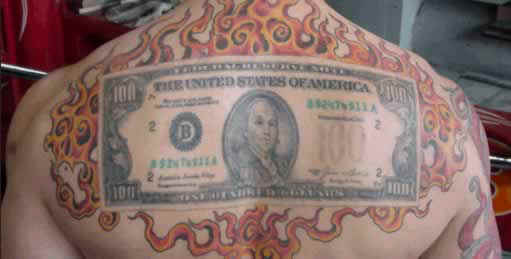 Wicked Tat, Right! 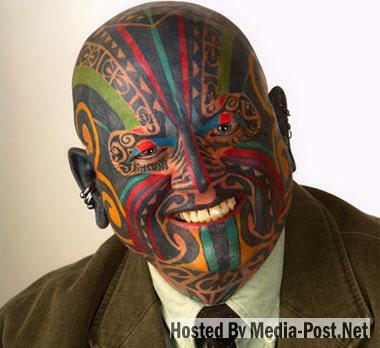 No, not mine, just one of the millions of pics easily grabbed online these days of people and their unique ink! As an artist by trade and by nature; I believe that images and artwork are some of the highest and most effective forms of communication among the human race! To wear artwork permanently on the skin, well that brings it to a whole new level… or does it? I have always been interested in tattoos. I remember as a teen, planning and plotting the epic 18th birthday tattoo. Well 18 came and went. I guess the permanence of the whole idea was the main reason for putting it off. I never really feared the pain, but I couldn’t wrap my mind around “forever” on my skin. My mind changes so often, my tastes evolve, and that fear of Commitment has kept the needle far away from ever touching my epidermis. Although… when I consider that over the last few years, I have personally made permanent, life-altering and drastically radical changes to my actual LIFE… I don’t know what the big deal about a little ink is!! Here’s a little list of things that I am proud to have made a Commitment to Changing Forever. 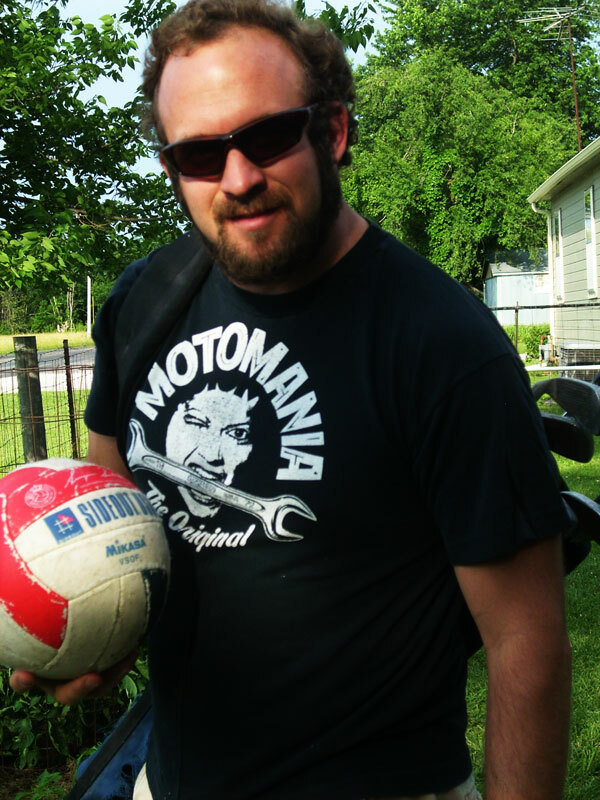 I was an active casual smoker throughout my 20’s… Been Smoke Free since my 30th Birthday. On my 31st Birthday, gave up Pop/Soda/whatever ya’ wanna call it… Forever. Almost 1 year ago, I gave up the stable solid world of a “good job” and began bushwhacking into uncharted (for me) territory of entrepreneurship and extreme self-reliance in the career world. So, since this is a random cross-section of things that I have made Permanently part of my life now… What was the big deal about the tattoo?? Actually, once the ink is embedded… there really isn’t anything else to do but wear it. It shows up when you do, and it’s not something you have to constantly work at. So, the challenge is daily, not easy-schmeezey, but Soooo worth the Effort. Are you ready to make a permanent life-change? What holds you back from leaping forward down a new trail? Do you think You have the power to decide your own destiny? Do you see outside forces holding you back, or have you realized that the true battle is internal? I can guarantee you this, if you choose to improve your financial situation and get out of debt. You will not immediately become happy. However, you will immediately, begin to see a whole new world of opportunity unfold before your eyes. And in the pursuit of those new adventures that you undertake because you Choose to, not because you Have to… Happiness will begin to pursue You! The Little Blue… P’ P’ P’ Powerhouse! They were in desperate need of another engine to help them out.The few different trains who came along at first had their own reasons to pass by, until finally the little blue engine showed up and decided to give it a shot. The main quote from this little story still resonates today as a great lesson. When I bring up all this financial stuff… And openly talk about being Debt Free, using the simple solid financial principals taught by Dave Ramsey and many others… What are your first thoughts? Are you like the Shiny New Engine? Or are you like the Big Strong Engine? Or are you like the Old Tired Engine? Or maybe, just maybe, you are just like the Little Blue Engine! Getting off to a slow start is okay, because by having true belief that “You Can”… Then reaching the top is possible and the Ride down the Other Side… will be Breathtaking!!! Remember that the whole point of this story is to help the little girls and boys? 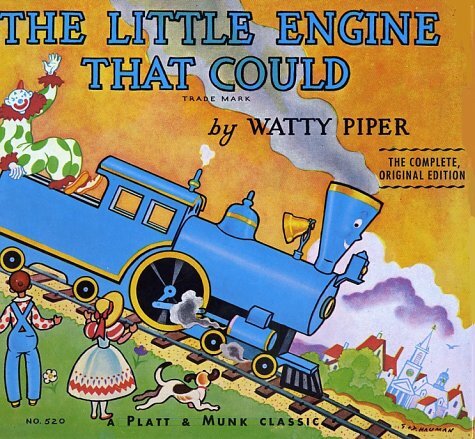 Yes, our journey to debt-freedom may bring unprecedented joy to us… but think of all the good things we can do for the little ones in our life, when we have not a payment in the world and we just want to give and spread God’s love!If you’ve got that Little Blue Engine inside of you, then I am your biggest fan! I know what it’s like to make that journey myself, and I’ll cheer you on in any way I can. I believe you can do it, and I hope you do too!